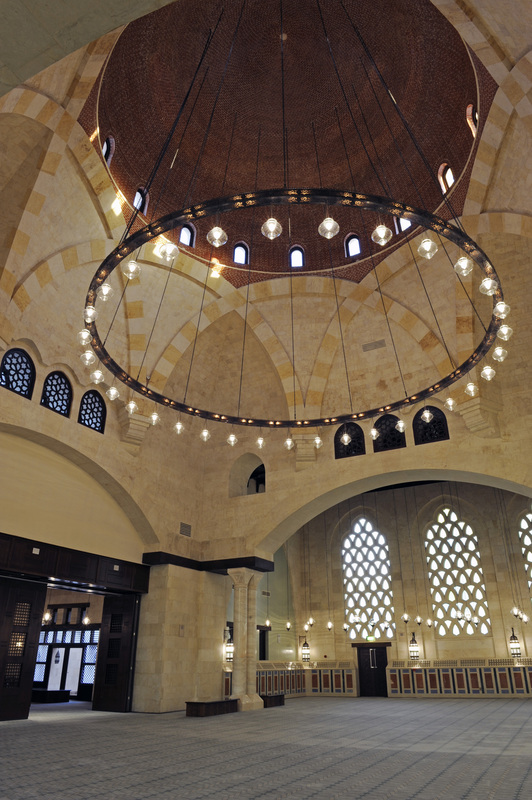 The main entrance hall of the Ismaili Centre, Dubai draws architectural inspiration from Fatimid mosques. At the centre of the colourfully patterned marble floor is an ornamental fountain crafted from a solid block of Carrara marble. 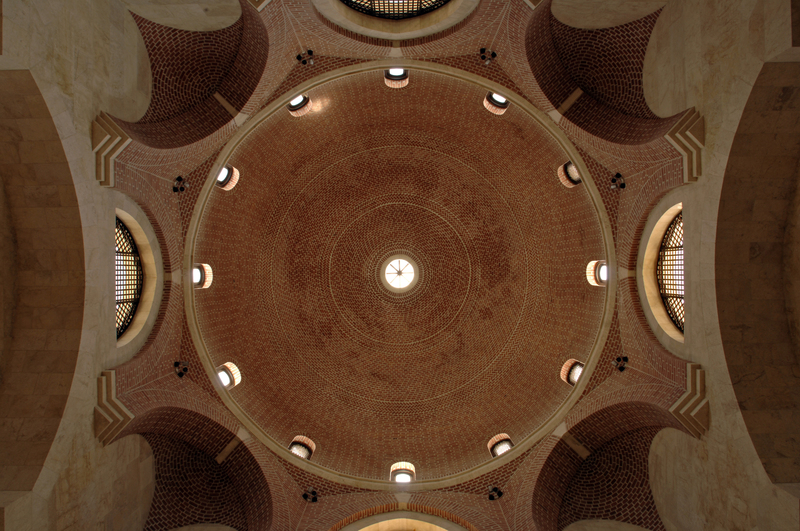 The main entrance hall dome is a visual marvel that rises in a series of arches and corbels upon which the brick dome culminates at its apex. The main courtyard features an intricate geometric arrangement of channels that use gravity to carry water from a central fountain. 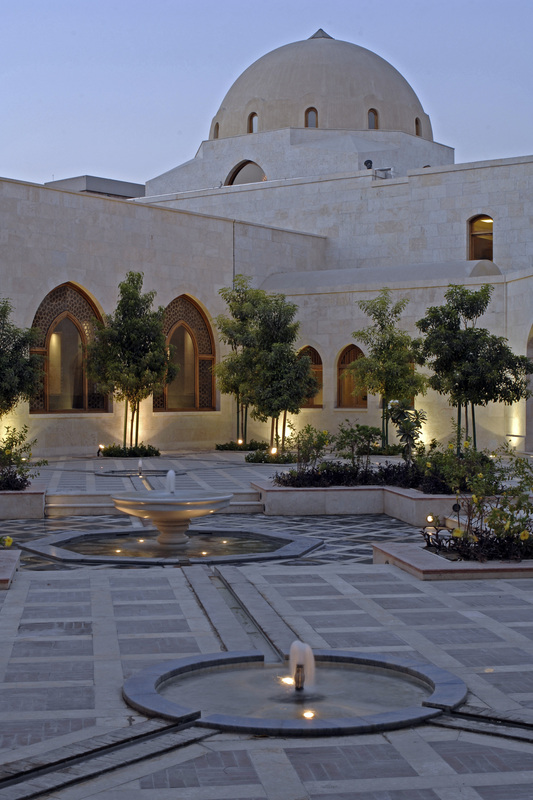 The marble patterns and flower beds draw upon various traditions from across the Islamic world. 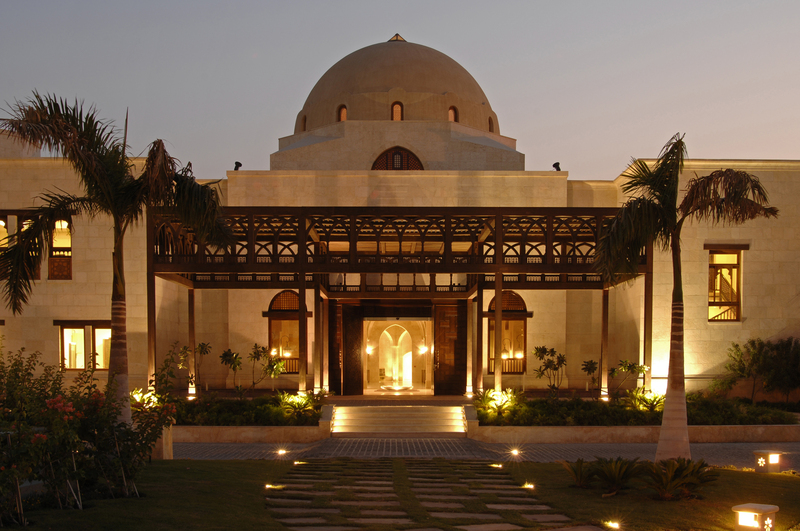 The entrance of the Ismaili Centre, Dubai is adorned by fountains, trees and a five-arched teak and meranti portico. 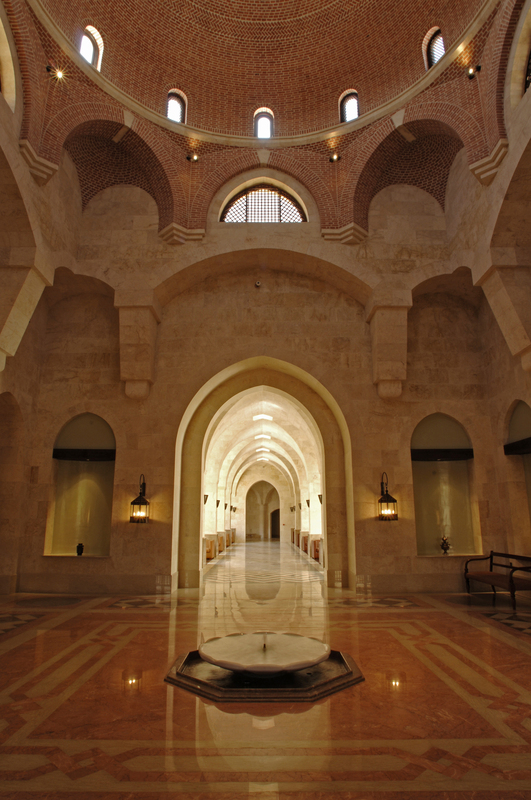 Emulating centuries old stone construction, each corner of the entrance foyer of the Centre rises in four different directions to meet at the top which is capped by a skylight in each bay. 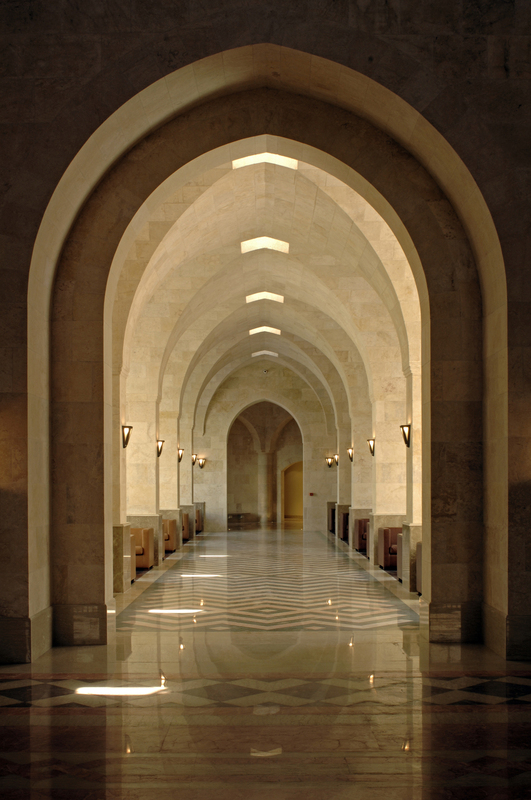 Photographs of the Ismaili Centre, Dubai at the time of its opening in March 2008.